Here’s the exciting news: the rough edit of the film is done (!!!) and our fabulous composer Andy Forsberg should have our music composed by mid-February. So what’s up in the New Year for the Homefront Heroines crew? 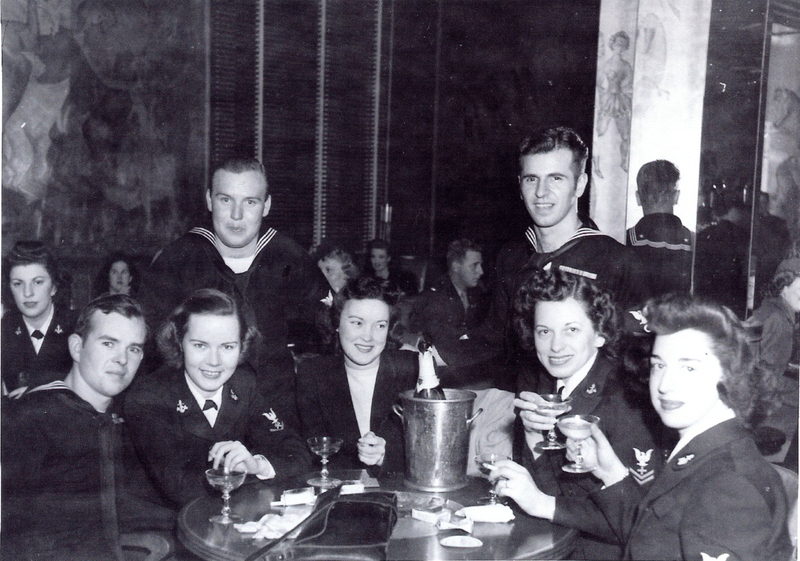 Champagn and celebration with Navy WAVES at San Francisco's Fairmont Hotel. We have some resolutions in place. Submit the film for ITVS and American Documentary Film Fund financing in January. Then, on to American Experience, who we’re hoping will agree that the story of the WAVES is worth a place on PBS. The funding will help us with our other resolutions. Mila Kunis – The Black Swan and Friends with Benefits star made news this year for going to the Marine Corps Ball after being asked out on Twitter. How about supporting the accomplishments of military women? Here’s to a fabulous 2012 and the debut of Homefront Heroines both for the WAVES at the WAVES National Annual Conference and (ideally) at a film festival or on a television screen near you!